William Maughan is a painter, pastellist, illustrator and teacher from California. Unlike many artists who have transitioned from a successful illustration career to gallery painting, Maughan continues his illustration practice. His clients in that field include General Motors, CBS Television and Dream Works, along with publishers like Pinnacle, Doubleday and Harlequin and numerous editorial clients. He has taught at the Art Center College of Design, and served as director for programs in fine art and illustration for Academy of Art University. 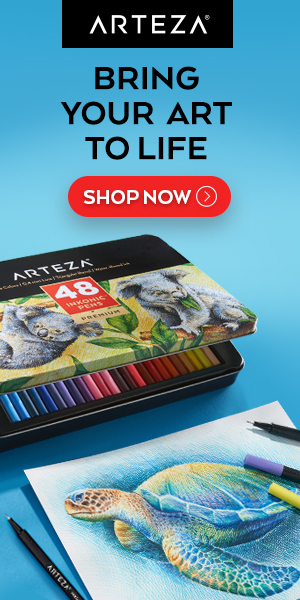 He is also the author of The Artist’s Complete Guide to Drawing the Head from Watson-Guptill, and teaches workshops in drawing and painting. Maughan’s painting subjects include figures, still life, history subjects and landscapes in both oil and pastel. In each case, he use the strengths of the medium to advantage. 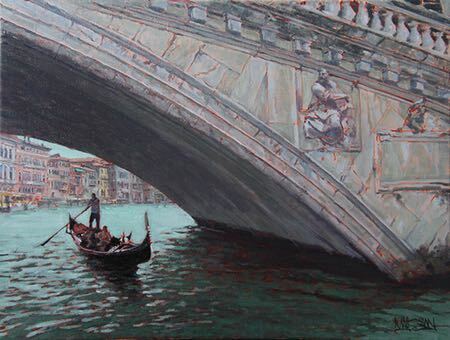 I particularly enjoy his paintings of European locations like Paris, Florence and Venice.